Plot Synopsis: Eight years ago, after assuming the blame for D.A. Harvey Dent’s death, a disgraced Batman (CHRISTIAN BALE) mysteriously vanished. But everything changes with the appearance of a cunning cat burglar, Selina Kyle aka Catwoman (ANNE HATHAWAY) and the arrival of Bane (TOM HARDY), a ruthless madman and leader of a cult and terrorists. 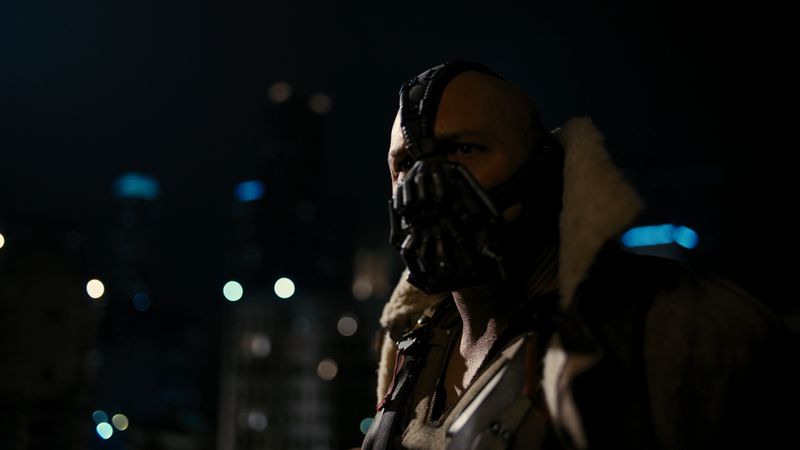 Bane’s reign of terror forces Bruce out of his self-imposed exile and into the ultimate battle, along with street cop John Blake (JOSEPH GORDON-LEVITT), and into the ultimate battle for Gotham City’s survival… and his own. 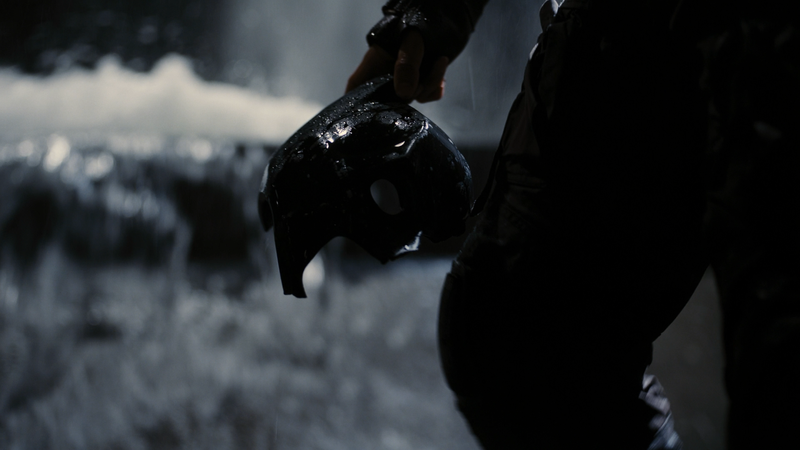 Quick Hit Review: An end of an era for Batman with The Dark Knight Rises. When I initially saw this movie now 5 years ago (yikes! 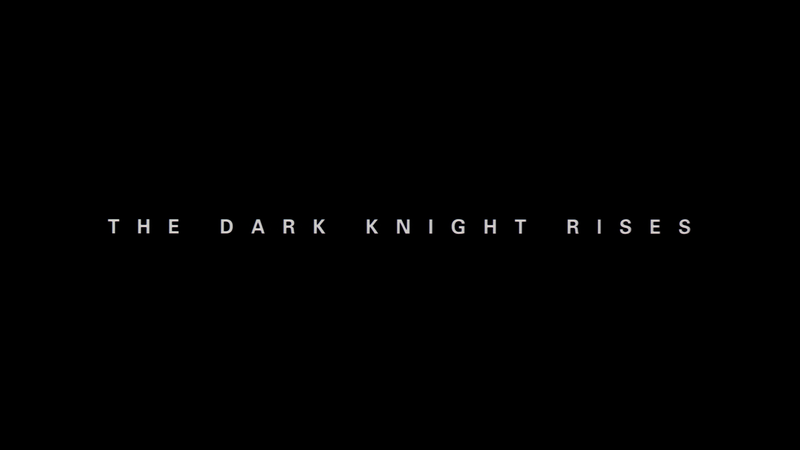 ), I was head over heels thinking it was right in line with The Dark Knight and ahead of Batman Begins. Over the years, following a few more viewings, although I still think it’s a solid conclusion, the film does have its problems, mainly the plot which wasn’t nearly as tight as its two predecessors. Christian Bale: When I first saw Batman Begins I thought Bale was phenomenal and he carried that feeling to The Dark Knight, but here I really wasn’t all that wild about his performance from his ‘Batman’ voice which was cringe-worthy (glad they’ve gone with the electronic version in Batman v Superman and Justice League). I don’t know, it kind of felt like neither he nor Nolan were 100% on board and seemed to do it to conclude the trilogy. Although I did love Tom Hardy’s portrayal of Bane washing away the horrid taste left from his appearance in Batman & Robin, his mask voice certainly was distracting at times clearly sounding like ADR work. Anne Hathway’s Catwoman was pleasant for both her physicality but standing toe-to-toe with Batman to the point I wish we got a bit more from her. She might compare with Michelle Pfeiffer’s frightening version, but Hathaway was a worthy addition to the long line of ladies to play the role. The supporting parts were fine I guess. Michael Caine is still great as Alfred but he sadly exits about halfway through and shows up for a couple minutes at the end; Marion Cotillard was absolutely frightening in Inception but here she seemed to struggle with an English accent but beyond that, the dialogue was poor enough which didn’t help with a truly bad performance. Besides them, Joseph Gordon-Levitt was fine basically as Batman’s sidekick (*cough* Robin *cough*). The Batmobile (58:17; HD) is a documentary on Batman’s vehicles used over the years from the comic books, the old Batman serials and series to Nolan’s trilogy. Features interviews with Christopher Nolan, Tim Burton, Adam West, Joel Schumacher and others. Production (TRT 1:08:31; HD) is split into 12-parts covering various aspects of filming and provides some behind-the-scenes footage. 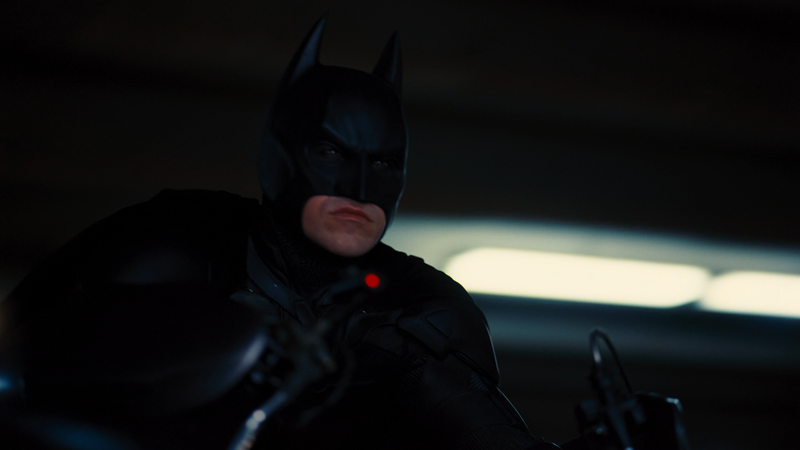 Reflections (TRT 14:41; HD) is two parts, “Shadows & Light in Large Format” (5:37) on the scope of the scenes in TDKR and “The End of a Legend” (9:04) on the conclusion for the character. Trailer Archive (8:35; HD) contains 4 trailers. 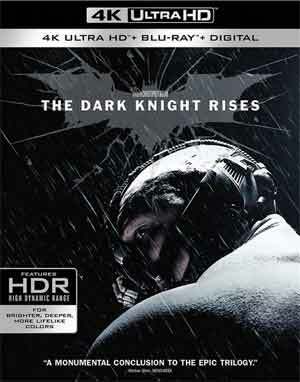 The Dark Knight Rises charges onto 4K presented in the film’s original 2.40 widescreen aspect ratio and a 2160p high-definition transfer (HEVC/H.265). The picture here looks pretty good, detail is rather sharp as would be expected for a movie only five years old and as with the previous movie, the IMAX shots really take full advantage of the 4K format and HDR where colors are vibrant and are bright as demonstrated in the James Bond-like opening sequence. Overall, The Dark Knight Rises might be a slight step down from its predecessors in terms of story, but the performances from Christian Bale (to an extent), Tom Hardy (even muzzled), Gary Oldman and Anne Hathaway were all top notch and it was a satisfying enough conclusion to the Nolan Batman Trilogy. The 4K release offers up excellent video/audio transfers and a solid selection of bonus features.